Plant protein is big at the moment, huge in fact – and for good reason. Many athletes, body builders, and just the general health conscious are now turning to a more plant based way of life to help them feel cleaner, healthier, and lighter – and these are just a few of the short term benefits reported; the long term is looking even better. This plant based protein foods list will show you at a glance the foods that contain the highest amounts of protein so you can work your meals around them, and incorporate them easily into your life. As more research is done and plant based/vegan diets become more popular we start to see a bigger picture emerging of the HUGE benefits this diet can have on your health and longevity. Whether you’re in training or not, eating a more alkaline plant based diet will have many benefits on your general health and vitality. The anti inflammatory effects of plant foods will be something you’ll notice very quickly, especially in terms of your health and fitness levels. You will notice that you don’t feel so achy after exercise and you will recover more quickly than before, which is due to less inflammation. In fact some of the worlds leading athletes eat a plant based diet and get their best ever times and higher endurance because of it. Iron Man champion Brendan Brazier is one of these athletes and has written many books on the subject, making this a fact that just cannot be argued with. Actually, this guy is mostly a RAW VEGAN, which is obviously another level for mot of us but goes to show just what the body is capable of when given the ‘perfect fuel’. His book ‘The Thrive Diet’ is definitely worth a read and is the book that not only helped me to understand my body and its issues, but also set me on my own plant based journey. You can easily start your journey towards a plant based lifestyle by making a few simple swaps and changes every day. It’s usually best to start slowly because it can be hard to make too many changes in one go (though certain people thrive on it). Anyway, taking your time gives you the chance to educate yourself and learn new recipe’s, tips and tricks as you go. It is VERY IMPORTANT you know how to combine foods to get all the nutrients and amino acids you need – otherwise you may end up less healthy than before, and we don’t want that! If your’e a beginner and need more in depth reading on this subject you may want to check out this which will help make it easier for you to make this transformation awesome beginner’s guide to plant based eating which will help make it easier for you to make this transformation. As plant proteins go let’s start off with the power houses of the plant world. Below is a list of the highest ranking protein based plant foods and their protein value raw per 100g. These can be easily incorporated into any meal or snack, making it easy for you to start making the change to a healthier lifestyle as soon as possible. It is very important to understand the importance of getting the right proteins/amino acids into your diet when you decide to go vegan or plant based. If you go straight into it unarmed with the right information you could potentially run into problems through not getting all the nutrients your body requires. This is especially true if you are an athlete or in any kind of training or exercise regime when your body’s nutrient requirements will be higher. Always be sure to eat good amounts of the foods on the above list with every meal. As a guide most people need between 1 and 2 grams of protein per KG of body weight, depending on their lifestyle. You may very well need a protein supplement to meet these requirements and there are some fantastic plant protein formulations available now. Sometimes it’s good to go for a ‘blend’ of different plant proteins as this will ensure a well rounded amino acid profile. Lower risk of inflammatory diseases such as rheumatoid arthritis, gout and alzheimer’s Disease. Less congestion in general, i.e. chest and sinus. Lower risk of many diseases, including some cancers. A plant based diet is mostly cheaper. A plant based diet is ‘cleaner’ energy and has a lower impact on the environment. It really is best to try to buy organic protein powders that have no fillers, artificial colours, flavorings or preservatives. This is especially important if they are something you will be using a lot, simply because you don’t want to be overburdening your system with anything unnatural on a daily basis. The below list is of some of the different types of plant protein powders available, their amino acid profile, and any pro’s or con’s. You can either buy them separately and mix them yourself, OR my preferred option as it’s easier is to buy them ready mixed in a blend. In my opinion, blends tend to go down better as they have been tried and tested for taste, have added natural flavours to make them more palatable, and usually offer other added nutrients and enzymes. Hemp, pumpkin, chia, pea, and potato protein powders already contain a good amino acid profile and so can be taken alone. However, because they all have a different nutrient content it is advisable to mix things up and not take the same thing all the time. For instance, hemp protein is high in omega 3’s (fatty acids vital for those in training) making it a good one to use alone or in your blend. You could always purchase a few different powders and experiment to see which you prefer. Some protein powders are pretty bland when they are not part of a specially formulated blend, therefore you may want to add your own healthy sweetener and favours, such as raw honey, banana, xylitol, stevia, cacao powder, dates, or date syrup (dates also happen to be the number one training food and will give you a long lasting energy burn – find out more about these awesome nutritious fruits that really help to power your workouts here). 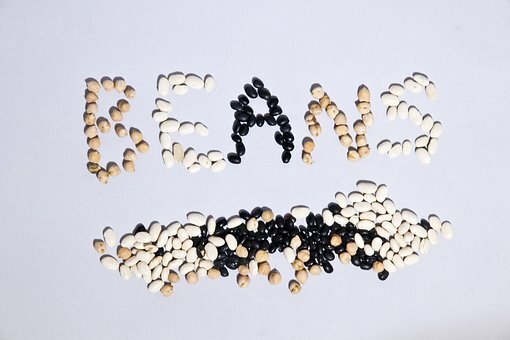 Pea protein is high in branch chain amino acids and lysine but lower in methionine. It usually contains soluble fibers from the pea which helps thicken it up, but doesn’t taste great alone; this one may need to be mixed with some other flavours and sweeteners. It’s saving grace is it’s cheap, and also has a good spectrum of all the amino acids. This one is higher in methionine, but has less of the other amino acids such as leucine, histidene, and threonine. It is however a superior protein if you can find it organically and ethically sourced – rice protein is notorious for containing high levels of cadmium and arsenic due to most of it coming from China, but it is fine in smaller amounts, or as part of a blend. Pumpkin protein has a ‘complete’ amino acid profile and tastes better than the others: it is also rich in minerals, namely zinc, and is high in L.Arginine (great for the male libido). It is very alkaline-forming, and high in tryptophan and vitamin E. Out of the single powders this one is the clear winner for me in terms of taste, texture and amino acid profile – but more expensive than the others. Hemp protein powder has a great amino acid profile, but can be more expensive than some of the others. It is also high in omega 3 fatty acids which are vital for those in training to help fight inflammation. It’s a great one to mix into other powders such as pea, or to use on rotation. Chia contains a good profile of ALL the essential amino acids, with the added benefits of omega 3 fatty acids, calcium, fiber, phosphorus, and other minerals. Another superior protein not unlike hemp and either of these two can be used daily. Potato protein is a ‘complete protein’ and contains high amounts of branch-chain amino acids, and has high bio-availability (which means that the body can easily absorb it’s protein and nutrients). It’s also low in calories, so a good one to choose if you are on a calorie restricted diet. Quinoa contains a lot more protein than all of the other common grains, and is in fact up to 50% higher in comparison. However, this superfood is actually a seed which probably explains why it packs such a protein punch. The other reasons to choose quinoa protein over the others is the fact that it is a superior protein containing the most ‘complete’ amino acid profile of ANY other plant based protein. Plus it is rich in omega 3 fatty acid’s which are great for everybody, and especially good for those in training, or just all exercisers in general. Omega 3’s lower inflammation in the body. which is exactly what you need after a hard workout to stop muscle aches, tiredness, and also to recover faster. If you don’t take quinoa protein powder as a supplement then you can very easily add it to your diet in a variety of ways; it is so versatile and can be added to any meal both sweet or savoury. You can find more inspiration and ways to use this super seed in my post Quinoa Health Benefits. Sunflower protein is another pretty new one to the market, and the plus side is it’s a pretty inexpensive one to buy. Sunflower seeds also contain lots of vitamin E, which is a powerful antioxidant that can help mop up all those free radicals caused by exercising; thus slowing the aging process and aiding recovery at the same time. For best results this one is ideal to be blended with other complete proteins such as hemp or quinoa. This part is the most IMPORTANT part of all as there are so many to choose from, and to save time and expense you should have some basic idea of what will work for you taking into consideration your dietary needs, training needs, and also whether you are looking to cut fat, lose weight in general, or bulk out. ALL of these are a factor in which protein powder you choose. To work out what’s best for you please check out my guide ‘The best protein powders of 2018‘, and you will find an easy list of factors you need to take into consideration when deciding. This video below will explain more fully why plant based protein’s are better than animal in terms of long term health, and why you should test them for yourself to see hat they can do for you. Thank you for reading this article, if you have any questions about protein powder, or need help picking the right one for you then I would love to hear from you and answer any questions you may have. Please feel free to leave your messages below in the comments area and I will always respond within 24 hours. ‘PLANT BASED PROTEINS V,S ANIMAL PROTEINS’ was that a typo error v,s instead of vs.? ‘CHOOSING A PROTEIN POWDER’ I don’t think it is necessary to add the sub-heading ‘Best Plant Based Protein Powders’ there. You can just go ahead with the brief introduction of the topic. Other than that, it is a great article. The headings were good, although you might want to use black font to make it stand out more. The contents were appropriate to the headline. Yes that was a typo error there. Thanks so much for all that advice, I will definitely use it and amend my site.I am new to this so I need all the help I can get. Hm I didn’t realise plant based protein powders had some health benefits that regular whey protein powders do not. I’ve never researched them all that much but I’m being to run out so I’ll definitely have it in the back of my mind when I’m surfing around looking for more. Where do you suggest I go and look for them, I’d imagine Amazon has some but is there anywhere with more options and better prices? I’m glad you find my post interesting, to be honest I am still researching myself for the best and most reasonably priced protein powders so i will definitely keep this site updated as I go along. For now though the one I am using is called ‘phd protein superfood’ which has all sorts of added superfoods including greens, omega’s, baobab,matcha tea, pumpkin, quinoa to name a few. There are also some great ones supplied by the brand Natures Plus which although quite expensive are very high quality as, like the above, they supply so much more than just protein. Great article Stefanie, learned a few things for sure. I am 48 years old and for sure past the trying to bulk up stage of my 20 s and 30 s .I am interested in consuming more proteins less carbs for weight loss ( funny how it sneaks up on you over time) .What do you recommend for amount of protein for myself . I weigh 215 pounds looking to lose 15-20 pounds ? Thanks for your comment and you’re right, it does sneak on over time. The best system for working out your protein is you generally need about 1 gram of protein per 2 lbs of body fat, so you would need around 107 grams. If you need to lose weight, then they say you should stay within your calorie range but double your protein as this will fill you up and you will automatically eat carbs and other things that turn more readily to fat. Hope this helps and let me know if you have any more questions and I will be happy to help. I also suffer from anxiety/depression (or I did, which set me on my path to nutrition) which it is why it is even more important for you to do exercise, especially weight bearing as it brings down a cascade of feel good endorphins that really blast out depression. That, doubled with a healthy diet filled with fruit, veg, wholegrain rice/bread/pasta to keep your blood sugar stable and the absolute must have, is to take high strength omega 3 fish oils. I promise you if you do all these things you will see a massive difference. Those things saved me. As for your your calorie intake, for somebody of your weight who is looking to lose weight I’d go in for around 2,500 calories a day and see how you go from there. If you are really serious about losing weight and exercising I will send you my weightloss and fitness plan that I send to some of my clients, but if you want to PM me your email address I will just send it for you for free as we are helping each other out. I can’t bare for other people to be suffering with their weight and depression as I know how awful it is, so if I can help you I will. And I’m glad I’ve lifted your spirits. Great article, loved how there was such a thorough listing. I use hemp protein powder and it really makes a difference for me in the morning as to energy and thinking clearer. Yes hemp is a great protein powder to use as it has more health benefits than the others such as a higher content of omega 3 fats, not to mention many more nutrients. I use it every day also, especially after a workout. It’s great to know you are a fellow vegan. I have only been vegan for 6 months but I know I will never go back. I just feel so much lighter and healthier and I had a few health complaints that have virtually disappeared through being vegan. I can only imagine that things will keep getting better and better. I have started incorporating lots of raw foods and juices lately and I feel even better than ever. Glad you liked my article about natural beauty, it really is the way to go as who wants nasty chemicals on their skin right? Everything I put on and in my body now is natural and I love it! Thanks for an article that I think is well researched. It will certainly help people that are vegetarians like me, helping us to create a better menu so that we can get all the % of protein we need each day. There is an upsurge in the number of health issues surrounding the eating of meat, a plant-based diet does offer an excellent alternative. There is less work and stress on the digestive system, since in many instances meat must first rot in the body before is excreted. Thanks for reading and yes plant protein is far better than animal in my experience. I have been plant based for over 7 months now and it has changed my whole life. I feel so much healthier, lighter and more energetic than ever. I will never go back now as I am sure it will carry on getting better and better. I think that these are truly the Best Plant Based Protein Foods. Thanks so very much for sharing this list. I have bookmarked this page. Despite the fact that I am trying to eat a plant based diet, I really never thought about these plant based protein powders. I am always in for anything with great health benefits. My problem though is overeating nuts, and that’s all of them even though my favorites are pistachios and almond. If I make my own plant based protein powder, do I have to add anything else to it to make it more nutritious? Hi Carol, glad you enjoyed my article. If you are going down the plant based road then you definitely need to make sure you are getting enough protein. As you are eating quite a lot of nuts this will help, highest protein nuts are peanuts, pistachios, almonds and cashews, so you should focus more on these ones. Taking supplements of the amino acid L Arginine, which you already do, will be of great help as L Arginine is mostly in animal products. Read here for more on L-Arginine And it could be worth your while investing in a protein powder just to make sure, best ones are hemp, pea, pumpkin and rice (I tend to stear clear of soya as it is estrogenic and messes with hormones). You can blend these plain proteins with a banana/ milk/cocoa powder etc to make them more palatable OR you can buy them already in a mix (which is often better as a blend will contain different powders with a better array of amino acids). Usually when you buy a mix it will have some natural flavourings and sweeteners in to make it palatable but will be more expensive. Personally, I find the plain pumpkin powder has a good amino acid profile and tastes fine when mixed with milk. Hope this helps, and if you decide to buy a blend you can always send me the link to it and I will check it is a good one with no chemicals or fillers. What an extensive article. I learned some things from it. I think we emphasize so much on animal based proteins as the only proteins. Sometimes I eat almonds and I eat them for their fats, but have to remind myself that they are actually proteins. Thanks for providing the list of proteins. There were quite a few among them that I would not have considered, or did not know they were proteins, for instance quinoa. That is great. Hi Oscar, I’m really glad you learned something new about protein. A lot of people think that protein has to come from predominantly animal products such as meat, fish, and dairy because I guess that is how we are brought up to eat, think and believe. Hence why vegans are always getting asked “where do you get your protein?” I was the same until I started eating a plant based diet and I can honestly say that now I have educated myself on proteins, fats, amino acids etc, I can easily make sure I get enough of all of these things from plant foods. Some really good info here. I do like to go the gym quite often, lift a few weights and all that. For months now I’ve been consuming vast amounts of chicken/eggs and to be honest I’m getting a little bored of chicken, and well you can’t eat too many eggs due to cholesterol content. I love pistachio nuts but never knew they were so high in protein! Also is there anything that hemp doesn’t do!? Hi Anthony, it’s great you go to the gym. I’m a bit of a gym bunny myself! Yes hemp is just being found to have so many benefits it’s mind blowing. I have a hemp protein shake every day for my breakfast along with half an avocado and it just filled me up for the day. If you find you are eating to much animal protein, such as eggs and chicken then you should try getting done more plant proteins in as you will find they are less acidic and make you feel lighter. WOW, this is an amazing article, Most of the people are aware of meat as a source of protein but to be honest, nature has also provided us with plant based protein and you have explained it in a really amazing way. This article should be read by every one and I am going to share it with all my friends. We eat beans and peas in our daily diet but these foods are very underestimated as far as their nutritional values are concerned, I really thank you for you great work. Thanks Sarah, I really appreciate the compliment, and I am happy you have found the post helpful. Yes, even I was shocked at how great those humble beans and peas are, and they are so much cheaper and healthier than meat! I eat these things as one of my main sources of protein these days and I’m healthier than ever. Thank you so much Stefanie for this great post. I’ve been wanting to add a more natural way to get my proteins and will be fallowing the list you left. Again thank you so much. Hi David, I’m really glad the list has helped you understand to get more plant protein into your diet. It really is not that hard when you know a few of the highest protein items to eat every day and I know I already said it in the post but quinoa really is one of the best there is as it has so many amino acid’s in it. It’s a great one to focus on if you are fully plant based or vegan. What a great article. I enjoyed reading it since I am half vegan. You have given me more foods to add to increase my protein consumption such as mixing in hemp. I will start incorporating all of the foods you mentioned to my recipes to. People do not understand how important a plant based diet is for their lives. Hi there, that’s great you are so far half vegan as you will at least be reaping the benefits from that I’m sure. Now you can see just how many great plant based protein sources there are you could probably go further with it and feel even better! You have picked a great protein to use with the hemp as it is one of the best for nutrients and amino acid’s. You can even mix it in porridge, which is what I did this morning – turns it green but it tastes yum ha ha. What a great article full of useful information. I really like your list of protein rich plant foods. I was looking for some vegetarian protein options and wasn’t aware you have such a big choice. I still include meat in my diet but was wondering whether I should cut it out completely. Do you think the protein powders work best in a vegetarian or vegan diet? Hi Sammy, yes there are lots of choices on the vegan diet but many people don’t realise this and think the only thing we eat is salads and nuts. However it does take time when you first start this lifestyle to actually learn new recipes and just changing your taste buds in general, but with a bit of willpower you get there. I personally would never go back now so I can only recommend it 100%. If you want to cut meat from your diet then I would say go for it. If you are still going to eat dairy products etc then you could still quite easily get enough protein from them if you eat them enough. Things like cheese, milk, and eggs are really high in protein so if you eat them 2-3 times a day then you will more than likely be getting enough. However, sometimes when people just go vegetarian they end up substituting with too much dairy which is high in saturated fat and will probably contribute to inflammation, so my advice would be to cut down on the dairy and add in lots of plant based proteins instead. As you start to see how well you feel and how your body responds you may naturally decide to cut all animal products completely. That is how it happened for me; once I started clearing my body out I could feel the difference when I was eating dairy, more sluggish, less clarity etc.